A year ago I finally succumbed to family pressure and subscribed to Netflix - and today utilize the on demand feature (what a horrible implementation of splitting the rental and on demand divisions). The first two videos I watched were the popular documentaries Blood Into Wine and Beer Wars.If you haven't seen either of these, I highly recommend them - learn about Arizona wines and the competition between craft brewers such as The Samuel Adams Brewery and Dogfish Head Craft Brewery and basically Budweiser - now Anheuser-Busch InBev. But there's more. In the past week, I have watched two new documentaries which are just as informative and entertaining: How Beer Saved the World and Absinthe. The former is a light-hearted story where "Scientists and historians line up to tell the amazing, untold story of how beer helped create math, poetry, pyramids, modern medicine, labor laws, and America." Yes, they cover all these subjects. And the latter tells the interesting life of Absinthe "from its birth in Switzerland in 1787, through its rise in the chic cafés of Belle Époque Paris, to its prohibition, and its recent worldwide revival". Now its time to plan a trip to Philadelphia Distilling to sample their Vieux Carre Absinthe - the first legal absinthe to be distilled, bottled and sold on the east coast of the United States in nearly 100 years. Or grab some Lucid. 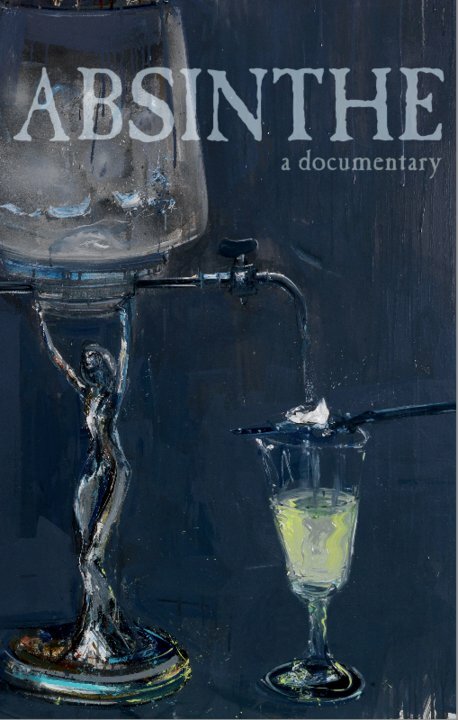 ABSINTHE documentary film trailer from absinthe on Vimeo. Yesterday was #SauvBlanc Day and one of Napa's best producers, St. Supery Vineyards & Winery held a reception at the winery in order to celebrate the day. Being almost 3,000 mile away on the East Coast, St. Supery sent us a bottle of their 2011 Napa Valley Estate Sauvignon Blanc ($20.00) to sip and tweet. St. Supery Vineyards is an interesting winery, located in Rutherford California, but owned by a French family - the Skalli's. The family has been making wine in the south of France for several generations and Robert Skalli recognized the potential for Napa to produce world class Bordeaux styled wines. Besides reds, these Bordeaux grapes included Semillon and Sauvignon Blanc. And today St. Supery is recognized as an excellent producer of white Bordeaux. Lately, many of the Sauvignon Blancs I've tasted has been very one dimensional - either all citrus and acid or all grass. On the other hand, the St. Supery was a nice balance of citrus and grass with low acids - the later thanks to the hotter Napa climate. But I enjoy lower acidic Sauvignon Blanc so this fit perfectly into my palette. And the mouthfeel of grass and citrus (both grapefruit and lemon) mingled together nicely, neither claiming superiority.And priced at $20 - this is a wine worth considering for any summer night. Cheers to St. Supery and #SauvBlanc Day. Yesterday I received this press release announcing the results of the 4th annual NextGen Wine Competition for Millennial Wine Drinkers and what caught my eye was that the winery awarded Best Rosé is a wine we have discussed often the last few months: the Canyon Wind Cellars 2011 47-Ten Rosé. This wine first shown on my radar while visiting the winery during a 2012 DinkLocalWine.com pre-tour. In fact, check out our Facebook page where the view from the winery is our cover picture. Then the rosé was provided as a gift in the media package and I was able to compare it to another nice local option, the 2011 Boxwood Winery Topiary Rosé. Both are very good wines and available at very reasonable prices ($12 for the Canyon Wind Cellars and $15 for the Boxwood). For me, the Canyon Wine Cellars closely resembles the Provence style - light and dry; whereas the Boxwood is bigger. The millennial judges also enjoyed several "other 46" wines such as the Apple Barn Winery 2011 Apple Cranberry and the Galer Estate Vineyard and Winery 2010 Vidal Blanc. Galer Estate calls their Vidal an "Icebox" wine because the grapes are frozen in a commercial freezer. Two other local wineries that fared well and received Best of Class awards was Maryland's Detour Winery 2011 Alpine Frost and Virginia's Gray Ghost Vineyards 2011 Gewurztraminer. I've tried this Gewurtz - it is tasty. Vineyard & Winery Management has announced the conclusion of the 4th annual NextGen Wine Competition for Millennial Wine Drinkers, held June 5-6, 2012. The competition is designed specifically with this exciting and important consumer group in mind, and is judged by qualified and knowledgeable wine industry millennials aged 21-35. Produced by Vineyard & Winery Management, NextGen is one of the fastest growing and most exciting wine competitions in North America today. Judges included high profile NextGenners such as Jessica Altieri, “America’s Social Wine Ambassador.” Altieri, 27, is a leading online wine social media and video pioneer, traveling the world to spread the conversation about wine in an unpretentious way. She is the founder, CEO and Certified Sommelier for WineChannelTV and has worked with some of the world’s leading wine brands, governments and trade associations. Riedel glassware was used to assess all of the wines, which were judged from a field of 750 entries. Judges awarded a total of 17 Double Gold, 63 Gold, 253 Silver, and 249 Bronze medals. #WineChat: For the Love of Wine! What inspired your passion for wine? This week's Wednesday #winechat is hosted by Red Wine Diva who poses an interesting question: For the Love of Wine! What inspired your passion for wine? A very timely topic since it was posed to a few of us in a van ride across the Grand Valley during the 2012 DrinkLocalWine conference. And the answer occurred exactly 15 years ago next weekend. 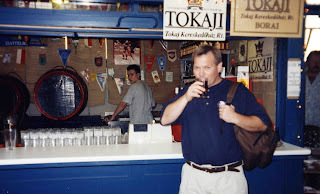 My route into the winosphere started like many other's - tasting wine at a local wine festival. Through college and my early professional career I was a craft beer drinker. Wine was what we drank when there wasn't any beer available. Then we started attending the Seven Springs Wine Festival in Somerset, Pennsylvania; where I sampled local wines for the first time. 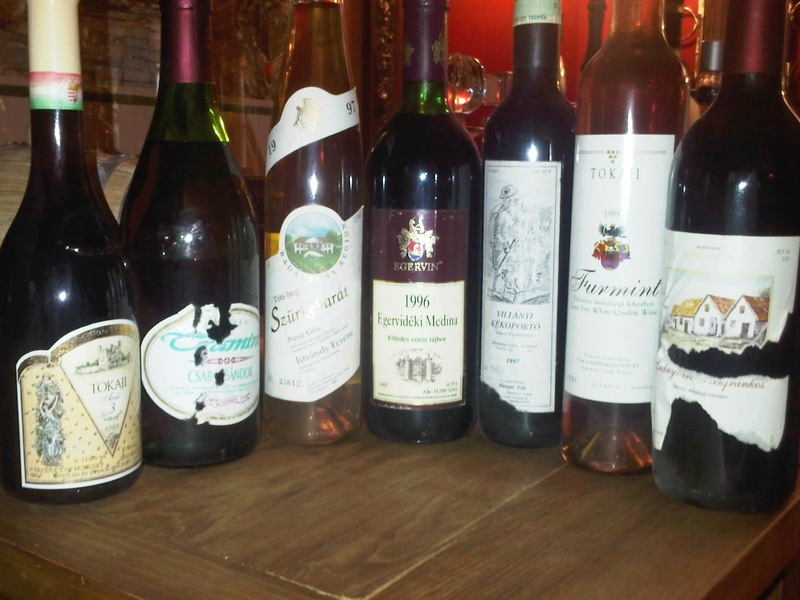 I don't remember much about the wines we drank, only that the whites were tasty and many of the reds sweet. 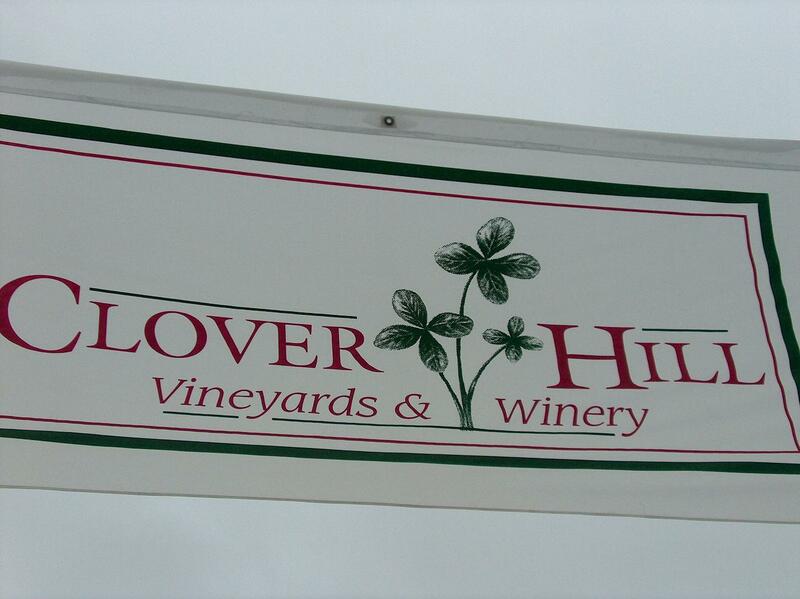 For some reason Clover Hill Vineyards & Winery registers in my memory. But I came away from these annual pilgrimages with the knowledge that local wines do exist, even though I had no clue what we were drinking: Catawba, Cayuga, Vidal Blanc, Niagara, Chambourcin, or DeChaunac. Concord, of course, was grape jelly. Wine Cave - "Valley of Beautiful Women"
Then I had my "Ah ha" moment. My wife and I decided to spend three weeks traveling through Hungary and Romania for our honeymoon. Our base was an apartment in Buda near Gellert Hill, but we started every day in the Central Market Hall just across the Danube into Pest. While lollygagging through the enormous building I stumbled upon the "Fountain of Youth" in the remote left corner of the market - The Tokaji Wine Bar - specializing in dry Furmint. Every morning I would order a nagy pohar bor and watch old women stroll through filling empty two liter containers while the men loitered sipping and conversing over their pohar bor. 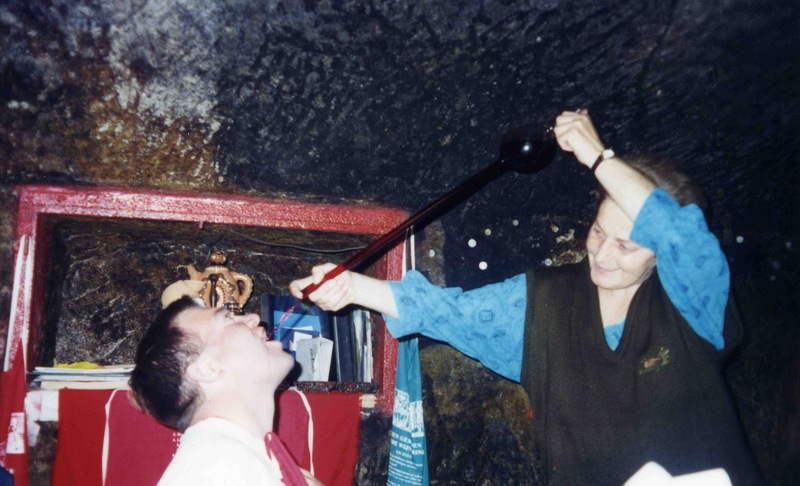 One day we traveled to Eger and the wine caves dug into the "Valley of Beautiful Women", so named because after visiting 30 caves... Here we tasted big reds of Bulls Blood as well as Kékoportó (Blauer Portugieser). 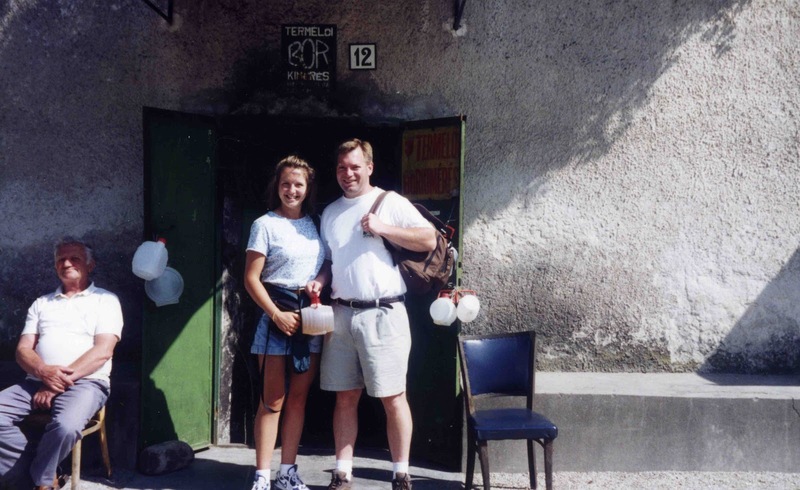 While visiting Lake Balaton we visited several "nano"
wineries - basically home wine makers offering wine for sale in small plastic jugs - just like kids selling lemonade. Whites rule here - particularly Szürkebarát (Pinot Gris) and Olaszrizling (Welschriesling). Then off to Sopron, home to Kékfrankos, no surprise since the region borders Austrian Blaufrankish vineyards. Through this unplanned wine adventure I learned that there was no real mystery about wine, just a lot of different wine grapes. 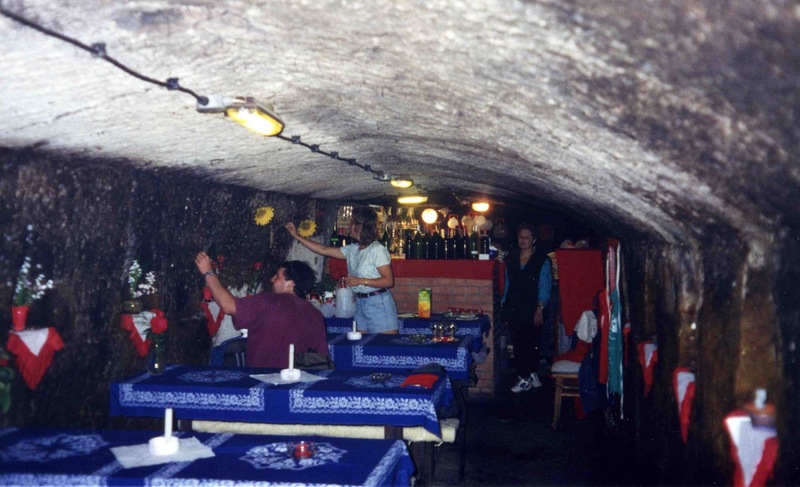 Like other European countries, wine was an integral part of the Hungarian lifestyle meant to be consumed daily either from plastic containers or wicker flasks. I still had much to learn, like not aging already five year-old whites meant to open immediately; but that's another lesson. But I was no longer scared off by wine. 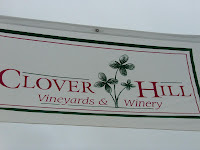 On our return, we soon discovered that there were local wineries in Virginia; although in the late 1990's not that many. Remember Farfelu Vineyards? As we traveled throughout the northeast we realized it wasn't easy searching for local wineries. I couldn't find a central directory to my liking. At the time I needed to train myself in .net; so within a short time WineCompass.com was born and has been running off that 10 year old code since. And from its conception, our the focus has been to visit local wineries and broaden our exposure to new wine regions and grapes. Cheers to your next wine adventure.